The Downtown Merchants Committee now has its own website up and running! 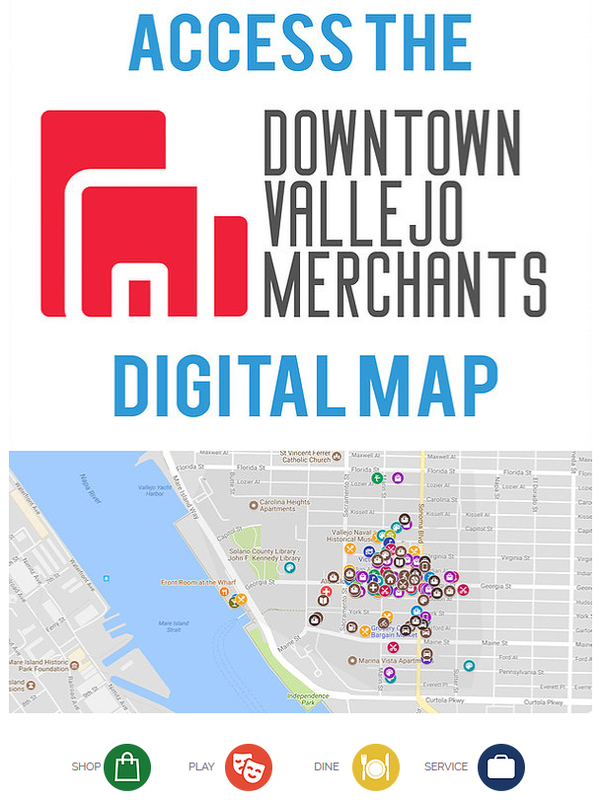 You can now visit www.VallejoDM.com where you can use an interactive digital map and sort through shops, entertainment, food, services and more! Interested in getting your business listed on this map? You don't have to be a member of the Vallejo Chamber of Commerce or Visit Vallejo to do so! Contact Manuel Angel at Visit Vallejo at (707) 642-3653. The Downtown Merchant Committee, a committee of the Vallejo Chamber of Commerce, is happy to announce the first printing and distribution of the Downtown Merchant Directory and Map. The DMC worked hard to include all members of downtown, whether they are members of the Chamber, Visit Vallejo, or any other association. 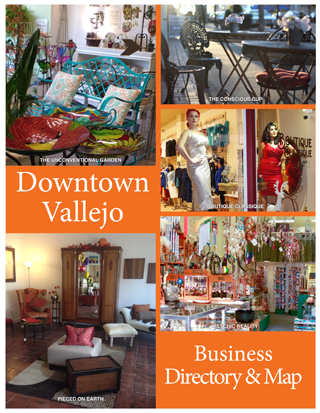 We are excited to show everyone how much business there is in downtown Vallejo! The map is being distributed across the city, in hotels, the ferry building and online at www.vallejochamber.com. If you would like to receive copies of the map or be included in the next version, please contact Tina Fowler at the Vallejo Chamber of Commerce 707.644.5551. We love to see progress in our downtown, and are proud of how many organizations are open for business. Stop and visit Downtown Vallejo, and let them know you heard about them here! Updated street sweeping signage, indicating new street sweeping days and times will be in place by September 4, 2018. Enforcement will begin on October 1, 2018 which will provide for approximately one month of noticing and warnings to area businesses, residents, and visitors, prior to the issuance of citations. 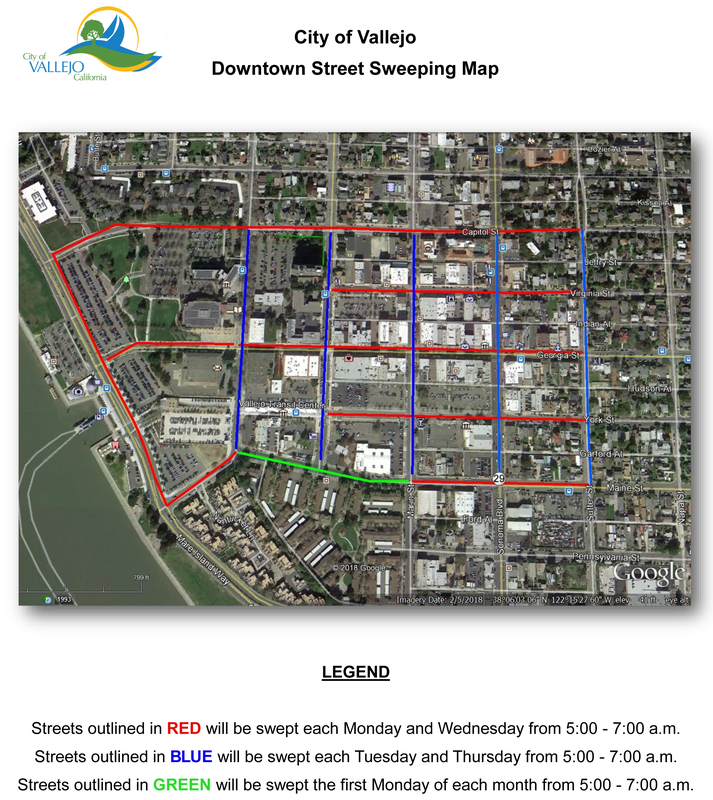 Streets will be swept 5:00 – 7:00 a.m., with both sides of the East and West streets swept Mondays and Wednesdays, and both sides of the North and South streets swept on Tuesday and Thursdays. The Maine Street paid parking area, adjacent to 201 Maine Street, will be swept the first Monday of each month. More information on downtown parking and street sweeping can be found at parkvallejo.net.